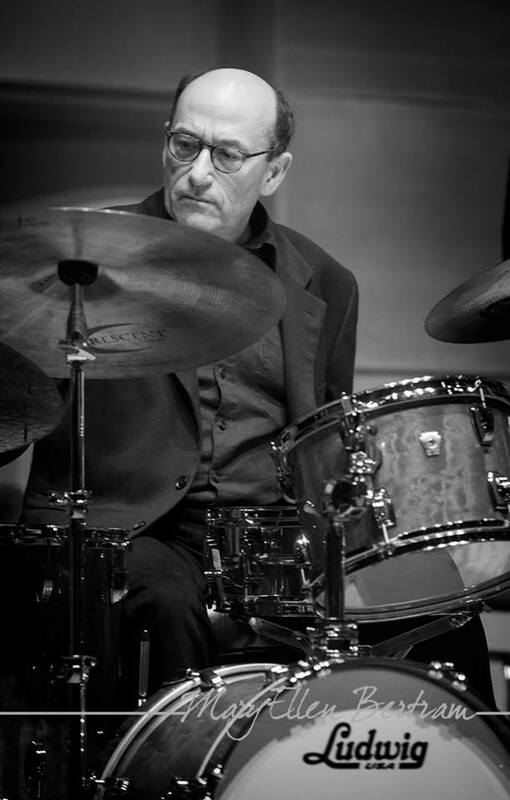 Gene Markiewicz is one of Indianapolis most established drummers, having performed with many of the areas finest musicians and organizations. He has performed with Jim Edison, Al Cobine, The Buselli/ Wallarab Jazz Orchestra, Bill Lancton, Becky Archibald, Steve Robinette, Mark Radway, The Indianapolis Symphony Orchestra, and Trombononomous. He has co-led the award winning Carter/Markiewicz Jazz Quartet with the late jazz legend Chuck Carter. Currently. Gene currently co-leads the Farrelly/Markiewicz Jazz Quartet with saxophonist Jim Farrelly. Gene is the drummer for Bill Lancton’s Guitar Summit Series. Gene Markiewicz, along with Connie Harris and the Speedway Chamber of Commerce, have organized five successful years of Jazz Fest in Speedway, as part of Indy Jazz Fest held annually in September. Gene Markiewicz was inducted into the Indianapolis Jazz Hall of Fame in 2011. Gene Markiewicz has been an Artist/Clinician for the Ludwig Drum Company since 1999. As an educator Gene is involved with several community programs. Gene recently sat on the Board of Directors of the Indianapolis Jazz Foundation/Indy Jazz Fest. He served as president and education chairperson. Gene has been a faculty member of the University of Indianapolis Jazz Combo Camp. He also is a frequent judge at the annual Purdue Jazz Festival. A strong advocate for public education, he has been an elementary classroom teacher in the Indianapolis Public Schools for seven years. Gene has attended Indiana Weslayan University and is a graduate of Marian University.